Go buy a spray can of brake cleaner and a small can of straight acetone. First use acetone, rags and brushes to get most oil grime off. Then use brake spray to blast off what is hiding in the corners. Careful not to spray the center (that would flush MORE grease out). Use clean rags at the end. 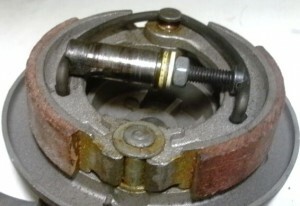 Some oil can lurk between the aluminum hub and the steel sleeve lining the drum. It won’t come out until the hub is hot, either heated by torch, or when riding downhill with using the brake a lot. That can contaminate the new brakes. One way to heat the hub, is with the old brake shoes. After the hub is cleaned, the bike is rode with the old brakes, using them hard and often until the hub gets hot. Then the last oil comes out onto the old brakes. Then the hub is re-cleaned and new brakes are installed. 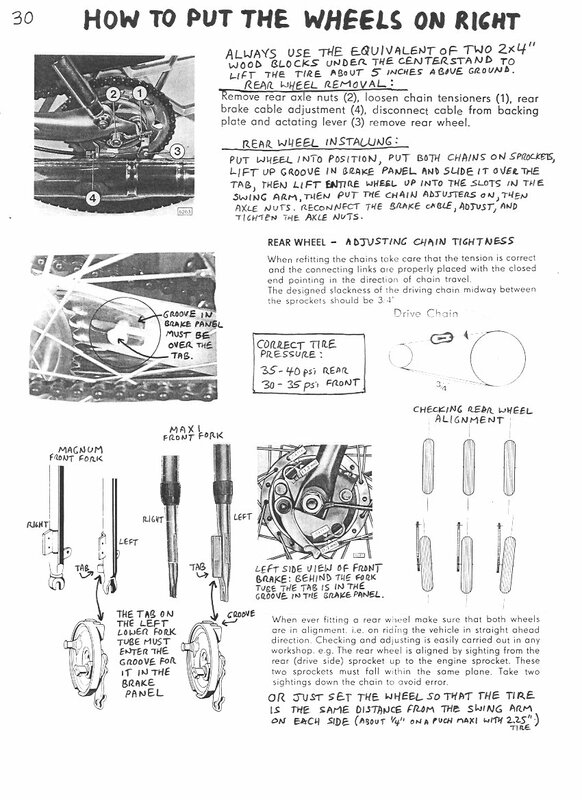 How to spread those nasty horseshoe brake springs: There are special spring spreading pliers made for this. 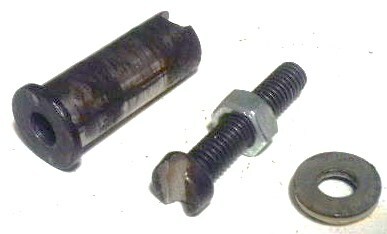 Or this an easy to make tool that spreads it as the nut is tightened. The grooves at the ends hold it in place. 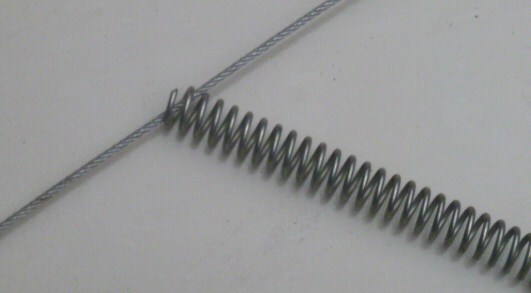 Be careful, these springs store a lot of energy. Things can shoot like bullets. First thing to do is put oil in the cable and on the handlebar lever moving parts. Lean the bike over and apply drops of 3-in-1 oil, so that it runs downhill into the rear brake cable. Apply one drop of oil on the outside of the brake plate where the brake cam shaft goes in. Operate the brake back and forth using your other hand to help the spring to return the cable. If it still sticks then disconnect the cable and feel the brake action and the cable action separately. If the brake feels sticky, like at a certain point it “falls into a rut”, then the shoe plates have worn grooves in them, causing the sticking. 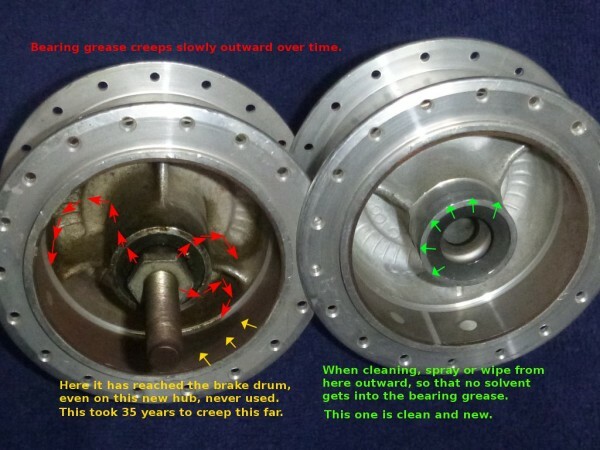 If the brake cam sticks in many places, then remove the shoes, remove the brake cam shaft, clean and grease it and put it back. If it’s just the grooves in the shoe plates, then replace the brake shoes, or else, for most kinds, “flip” them by putting the right on on the left side and the left one on the right side. This makes the grooves go away. As a last resort, sometimes an external helper spring is needed to assist the internal springs in pulling the cable back. A very clever trick (originally from Mopeds-A-Go-Go in Westchester CA USA) is a way to add a coil spring onto any cable without any dissassembly whatsoever. Unbelievable? 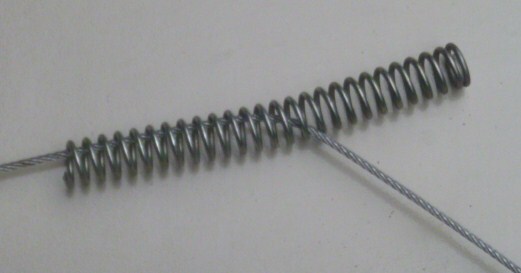 Imagine cliping one end off a coil spring so it has a tail that curved like the rest of the “threads”. That tail is wound around and around the exposed cable wire by rolling the coil spring over and over with your fingers. After the last thread, it will install completely and surround the braided cable wire. 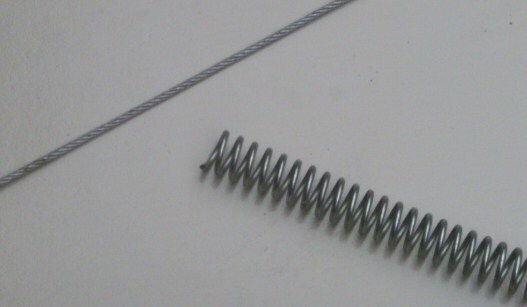 If the length is chosen right, by cutting the spring, there will be right amount of force or squeeze. Wow! 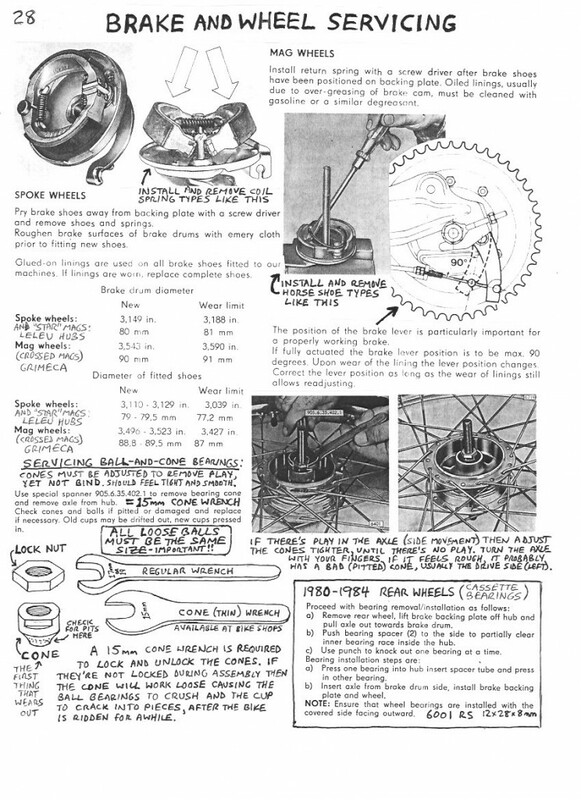 You are currently browsing the archives for the Brake Service category.